By utilizing our years of experience, we bring forth a qualitative array of Dispensing Booth. The offered range is manufactured utilizing superior quality stainless steel and the latest technology. This equipment is designed for providing highest level of protection from air borne contaminants generated during operations such as sampling, charging dispensing. 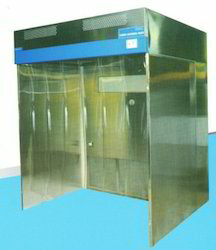 Powder Dispensing/Sampling Booths are work enclose which provide Class -100 cleanliness in the dispensing /sampling zone. These units are used to control hazardous emissions of powder dust during powder dispensing/sampling process without any risk to the operator and product as well protecting the environment. 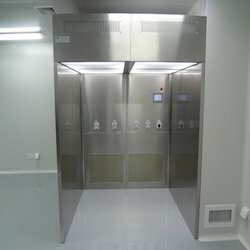 VRP Cleanroom Systems Pvt. Ltd.